A1. Sharon Johnson - "A Better Day"
A3. Kenny Pierce - "Done Been"
B1. Those Good Intentions - "We Know How To Boogie"
B2. 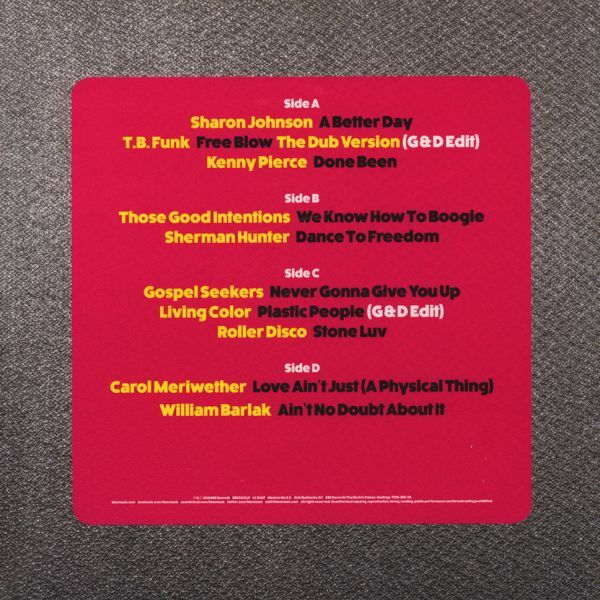 Sherman Hunter - "Dance To Freedom"
C1. Gospel Keepers - "Never Gonna Give You Up"
C3. Roller Disco - "Stone Luv"
D1. 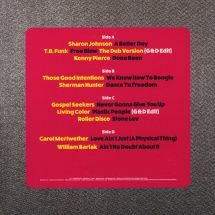 Carol Meriwether - "Love Ain't Just (A Physical Thing)"
D2. William Barlak - "Ain't No Doubt About It"